Caesars Sports App: How to play on mobile? Even though the NJ online sportsbook market is young, Caesars hasn’t wasted a moment, and they have launched a Caesars app. It’s available to all New Jersey players and sports lovers. In this review, read our thoughts on the Caesars mobile app and see what are all its features. How can I download the Caesars App? Is there a Caesars Bonus and how do I get it? Is there a Caesars Sports app promo code? How to Register a Caesars Sports Account? Is there a Caesars Sports Bonus? What Can You Do at Caesars The Book? If you’re not sure how to download the Caesars App on your device, you can find detailed explanations on the Caesars website. However, we’ll go through them here, since the steps are pretty simple. If you meet the necessary requirements, you’ll install the app in no time. To install the app and for it to function seamlessly, there are certain requirements to meet. Let’s see what they are. For the iOS Caesars app, you need an iOS 8.00 or later. The app is compatible with iPhone, iPad, and iPod Touch. As far as the Android app is concerned, there are no specific requirements regarding compatibility. Just make sure your device is updated to its latest version. You’ll also need to allow unknown sources to install apps on your devices. That way the Caesars app will work perfectly. Keep in mind that both Caesars apps for iOS and Android have geographical restrictions and that only players from NJ can install it. Caesars Casino and Sportsbook offer a welcome bonus for everyone who decides to join them. If you create an account, you can get a $10 no deposit bonus. However, this is only for casino players, and cannot be used on sports wagers. Hopefully, they will introduce a new bonus as their online sportsbook platform grows. Of course, if you want to try your hand at casino games, you can always get this bonus on your Caesars app and enjoy all the games it has to offer. To get the Caesars app welcome bonus, all you need to do is open an account entering personal info that’s required, and the no deposit bonus will be credited to your account. We believe the main goal of any app is to be the mini version of the website. That way, the users won’t have the impression they’re missing out on something. The app features the most popular sports, such as football, basketball, baseball, hockey etc. 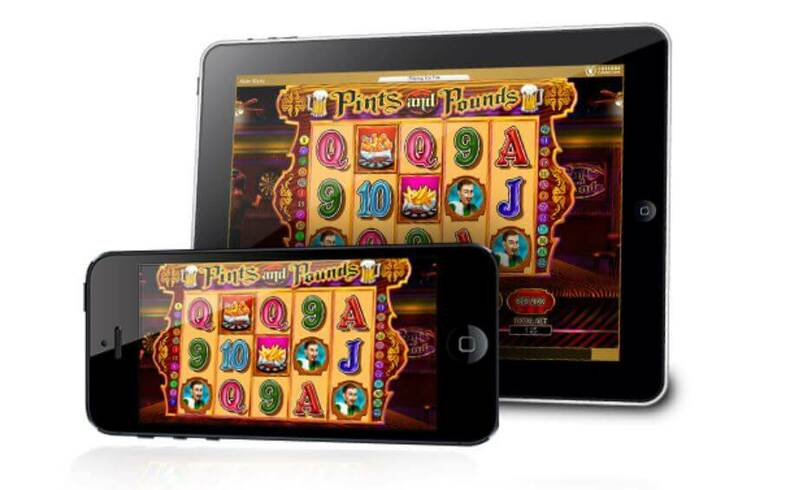 On the other hand, you have a wide offer of casino games, since the Caesars app mainly focuses on casino games. However, we hope they will work a bit more on the sports features because we think that will only increase the number of its users. Now, let’s give you some answers to a few common questions about the Caesars mobile app. The steps are simple. After creating an account, access the sports offer, choose an event, select the odds and enter the stake. After that, you can follow the game and hope for the best outcome. You can make a deposit in a matter of moments. Simply access your account, and insert the amount you’d like to deposit with your preferred payment method. Usually, the deposits are processed instantly. Withdrawing from your Caesars mobile app account is very simple and straightforward. If you have any winnings, you can get them by going to your account, finding the withdrawal option, insert the wanted amount and that’s it. Just wait for the payment to be processed and you’re good to go. Luckily for all the players, Caesars app offers different customer support options. You can contact them via: live chat, phone number or email. Great thing is that they’re available 24/7. There is an FAQ section with detailed answers to numerous questions, and you can consult it at any moment. Now that we’ve arrived at the end of our review, here’s a table where you can see some pros and cons of the Caesars mobile app. Even though it’s only the beginning of the online sportsbook industry in NJ, there are already some great opportunities. Hopefully, they’ll introduce a sportsbook bonus and improve some other features, but for now, we’re excited for you to try it out. The state of sports betting in the United States has greatly changed during the year 2018. Numerous states have already become territories with great potential for sports betting. Nevada is no different, as the state was previously unaffected by the PASPA ban, Caesars sports app was launched in 2017. Ever since then, it has become the go-to place for betting on the go while you are in the state of Nevada. Note, however, that there is a completely different Ceasars Sportsbook for bettors in New Jersey. Continue reading to learn more about the Caesars sports app. Unfortunately, at the moment there are no bonus codes to share. Check back here for updates, as we will publish any bonuses we find for you. Caesars Casino is a popular place in Nevada and the company is expanding to other states such as New Jersey. The brand has 13 different casinos in the state of Nevada. One of the places that include a unique sports betting experience is The Book in LINQ Hotel and Casino. We will talk more about the experiences offered there later in the text. We only wanted to mention that the Caesars sports app plays well with all 13 locations of Caesars casinos in the state. As the brand is always looking for ways to expand, we hope that we are going to see some sort of Caesars sports bonus in the future. If you are looking for a guide on Caesars sports registration, you are in the right place. We are going to go over the necessary steps that you will need to take to successfully complete the process of registration. You can register your Caesars Sports account at any physical casino, race or sports book in Nevada. Registering for a Caesars sports account will require you to provide your driver’s license or a government issued ID. You will also need to share your social security number, Total Rewards card, and fill out a W-9 form. Once you also provide your occupation, you will be able to use the Caesars sports account to start your betting adventures. This seems like a complicated process but it only takes a couple of minutes to complete and is necessary for your identity verification. Once the process is over, you can start enjoying your betting adventures with your friends. At the time of writing this text, there is no special Caesars sports bonus available for players in Nevada. However, as the competition keeps pressing, it is quite likely that we are going to see a Caesars sports bonus become available for their mobile app. After all, it is one of the best ways of attracting new customers. If there is a Caesars sports bonus in the future, it is probably going to offer some sort of a bonus bet, a backup bet or some type of special odds for new customers. We will have to remain patient and wait for the Caesars sports bonus if there ever is one. Caesars has ensured that you can make the whole sports betting experience even more entertaining. The brand proves this with the existence of The Book at the LINQ Hotel and Casino. It is a heaven for all those who are super passionate about betting. You can enjoy your stay at this hotel and enjoy the specially prepared rooms for passionate bettors. This is perfect for a fun weekend with friends as there are different types of rooms with special types of TVs. Also, there are plenty of different food types you can find in The Book. Most importantly, the Caesars sports app goes well with the whole Book system. You can place your bets and enjoy games and results on the big TV screens. To have more fun, you can also have fun playing games on the Xbox and PS4 systems. The wide range of activities is quite inviting and promises a lot of fun and entertainment. Caesars brand offers quite a lot of fun for their customers. It is definitely one of the best brands in Nevada. If you want to grasp the benefit of easily betting on the go, you can register at Caesars Sportsbook. The following are the most commonly asked questions about the Caesars Sports App. Is there a Caesars sports bonus available? Not currently, but the brand is expected to combat the competition with an inviting Caesars sports bonus in the future. Can I bet while I am not in Nevada? No, entering the Caesars sports app is impossible while you are out of Nevada. Placing bets and browsing odds is only possible while you are in the territory of Nevada. The minimum deposit and withdrawal you can make are each $5.